The Stakeholder Board (SB) is the Ultimate Decision-Making Body. The Steering Committee of the Stakeholder Board (SCSB) is the principal Working Group of the SB and can be tasked by the SB. To form the SB, the institutions of all Member States select their representative. In addition, they provide a signed Written Statement to confirm their mandate from the institutions they represent within their Member State. 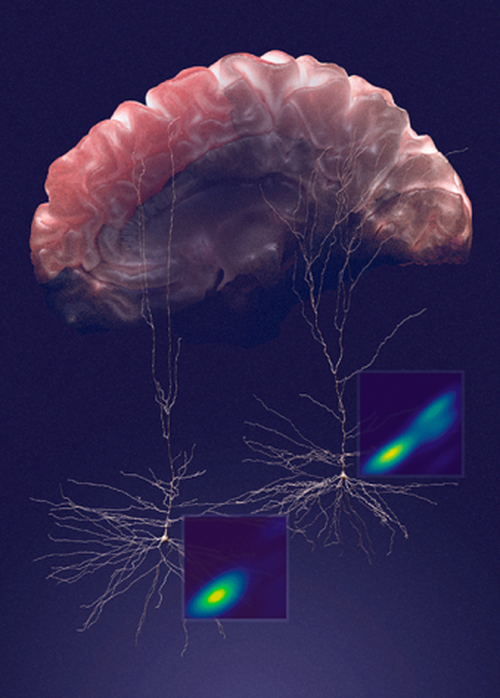 Illustration of two distinct morpho-electrotonic classes of layer 2 and layer 3 pyramidal neurons from the human temporal cortex. The two new neurons were identified by an international team of HBP scientists. Read the full paper here.